Shrewsbury and Telford Hospital NHS Trust are delighted to have secured investment from the Government to the value of £312 million in order to reconfigure services and develop new buildings to deliver the sustainable services strategy for the healthiest half million in the country. We are looking for motivated and enthusiastic Specialist Occupational Therapists to join our inpatient team at both Shrewsbury and Telford sites. You will be part of a team working across the inpatient acute ward areas supporting the assessment, treatment planning and discharge processes of patients across a variety of ward areas. You will work closely with the wider multi-disciplinary team (MDT) therefore excellent inter-personal skills are required as well as working with the Therapy Team Coordinator and other members of the therapy team. The therapy team is friendly and supportive and comprises of Therapists and Support Workers who enjoy their work and strive to offer the best possible patient care. We are looking for someone who is flexible, has good time management skills, works well in a team as well as independently and is able to support and appraise Band 5 and Support Worker staff. 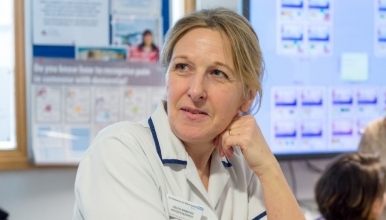 We are looking for someone who has a robust knowledge of acute inpatient areas and can utilise a variety of tools and assessments to deliver the best possible treatments to patients and be involved in their discharge planning. We are looking for a number of post holders and would consider part time, full time and job share applicants at this time. Working shifts across a seven day pattern is expected for the successful applicants. The team are a vibrant and energetic group who have a strong drive for putting patients at the heart of all they do. The team have a passion for personal and professional development across all bands and roles facilitating events within the team, department, Trust and externally as well. The Occupational Therapy staff have a robust supervision structure and attend relevant training within the Trust and externally and are supportive of each other sharing their learning to enable the best care is delivered to patients possible. The team, and this post holder, would be expected to mentor students by being a practice educator linked with the University of Coventry. The Therapy department are working towards being at the forefront of innovation in leading the way by undertaking development and service evaluation utilising the Virginia Mason Institute (VMI) methodology in Lean practices. The Trust is one of only 5 Trusts in England to be affiliated with the VMI based in Seattle, USA. We would welcome any interested persons contacting the department for a discussion or to arrange a visit prior to applying or interview if shortlisted.